“Grace”, is gentle and great on the trail or in the pasture. She is 14/3 hands and 12 years old. 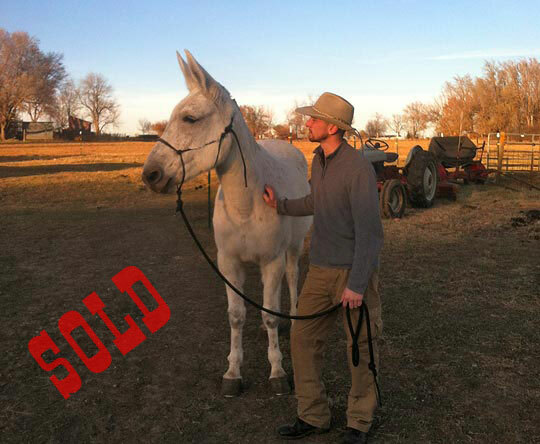 This mule really likes people, easy to catch, clip, shoe and load. She holds a saddle extremely well and rides with a crupper or brichen.